Argh, the life of a university student, it's not all fun and games you know, the endless lists of recommended reading and seminar work means that I rarely have time to read for, well, FUN. Don't get me wrong, I love Homer's Illiad and all the jazz, but sometimes it would nice to just sit down and read a book simply because I want to and not just because it is a part of my course. Unfortunately I rarely have to time to do this, and as a result I have compiled quite a list of books that I want to read! Here's to hoping they will eventually get read! Is it wrong that I bought this book because the blurb revealed it was set in Scotland? No? Thought not! I am the sort of book buyer who places a lot of faith in the front cover and the few choice words on the back cover or inside sleeve. This may be a bit flippant of me, but other than rave reviews or hyped books, it's all I have to go on when deciding which books deserve my limited funds! Ok, so I purchased this because it is set in 1940...when I was younger I went through a phase where every book I read was set in WW2- I am a bit of a history fiend and as they say- in your old age you revert back to childhood tendencies! Yeah yeah yeah, I'm only 20, but I feel old! OKAY! At only 134 pages, I was unsure whether to buy it, for me, the longer the book, the better. I hate it when good books end too soon! It has beautiful illustrations and I have heard it be compared to Charlotte's Web so its safe to say I'm excited to get my teeth into this one! This book is really a collection of letters that tell the story of Nina's time as a nanny in London, I have heard that it features the likes of Alan Bennett! 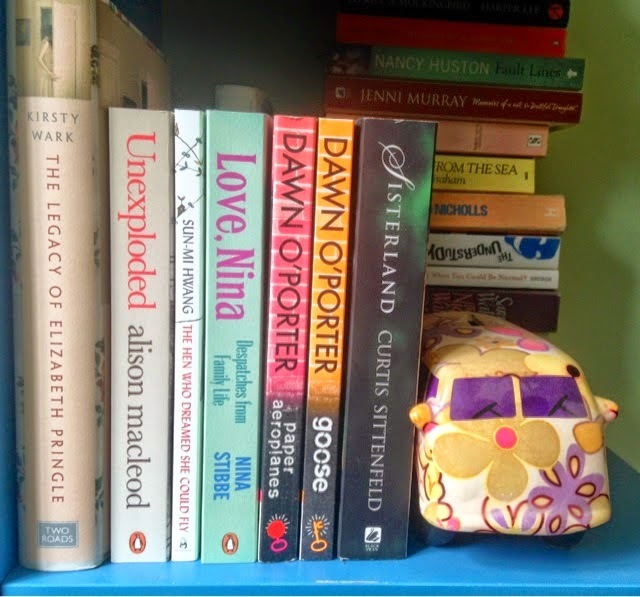 Ah so I have been a fan of Dawn O'Porter before she added the 'O', I have always found her very likable and relatable and I still am an avid fan of teen fiction (which this book is labeled under). I'm sure I won't be disappointed. As a follower of Dawn on twitter, I have been kept up to date with the book tour for Goose which makes it all the harder when I have to force myself to revise when all I want to do is curl up into a ball on my bed and not move until I have finished reading it! I picked this up on a whim when I was waiting for my train out of London one day, I always pop into WHSmith because they usually have quite good deals on books that are popular at the moment! Since buying it I have heard some rave reviews from the likes of Tanya Burr. 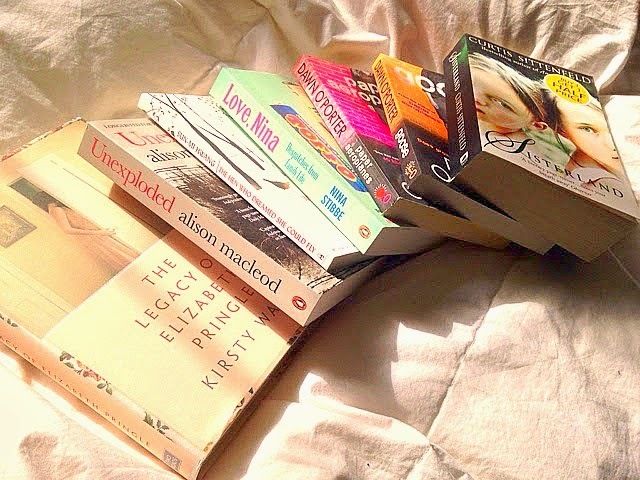 So that's my list of books that I have lined up to read, hopefully this summer I will get through them! Are there any books you are desperate to read or have you read any of the books that feature on my list?